Experience the magic and splendor of Shen Yun 2017 with more new shows this coming February. Tickets on sale through www.shenyun.com. Shen Yun is dedicated to reviving 5,000 years of divinely inspired civilization by bringing its profound spirit to life on stage with unrivaled artistic mastery. Every dance movement and every musical note makes this a stunning visual and emotional experience you won’t find anywhere else. 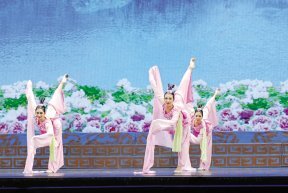 Each year, a new production is created and in 2017, five touring companies will travel the globe to perform 500 shows, bringing the beauty and spectacular of Shen Yun to millions of fans. 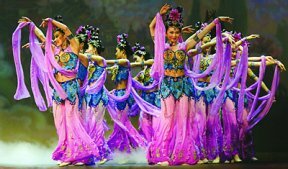 Come and celebrate Shen Yun’s incredible 11th anniversary of sharing the beauty of Chinese culture with the world. 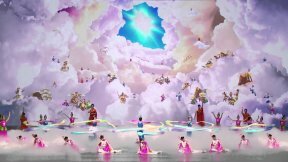 See for yourself why Shen Yun is leaving millions in awe and returning again and again! 800-880-0188, or in person at the each theater’s box office. More information is available at www.shenyun.com.